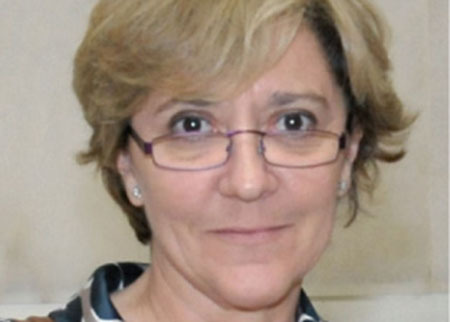 Olga Genilloud, Scientific Director and Head of the Microbiology Department at Fundación MEDINA, has over 25 years’ extended research experience in the discovery and biosynthesis of novel natural products antibiotics, obtained in the academic, clinical environment and pharmaceutical sectors. Olga has a PhD in chemistry from the Complutense University of Madrid and has a solid background in industrial microbiology – with expertise in bacterial natural products, molecular biology, ecology and taxonomy, physiology, and production of secondary metabolites. Since 2009, Olga has led the discovery efforts at Fundación MEDINA, a non-profit public-private research company she helped set-up from the former R&D programmes at Merck Sharp & Dohme (MSD) España. Fundación MEDINA focuses on the discovery of novel antibiotics, with activity towards multidrug-resistant pathogens. Before joining Fundación MEDINA, Olga worked for MSD Spain for more than 19 years in research fellow and senior research fellow positions. She was also a group leader in charge of the bacterial natural products early drug discovery programmes. Olga has worked on the biosynthesis and genetics of microbial antibiotics, as Predoctoral Fellow at the Microbiology Department of the Hospital Ramón y Cajal, Madrid, and as Research Visitor at the Department of Microbiology and Molecular Genetics, Harvard Medical School, Boston. Olga has published more than 100 articles in international peer-reviewed journals, book chapters and has 18 international patents on the discovery of novel bioactive molecules, and the development of molecular tools in drug discovery. She has also contributed to the discovery of key novel antibiotics, such as platensin and platencin, kibdelomycin and MDN-0057. Olga has partnered with several pharmaceutical companies and participated in international research consortia for the discovery and preclinical development of novel natural product antibiotic leads. She has been an external consultant on international expert panels and is a reviewer for international research funds and national research agencies.